We woke up early and we had our complimentary breakfast at the rooftop of Casa Cecilia where we were greeted with an awesome view of El Nido. We availed of the Tour A which included a visit to the Small Lagoon, Big Lagoon, Shimizu Island, Secret Lagoon and 7 Commando Beach. The weather was kinda bad but the tour was still on the go. 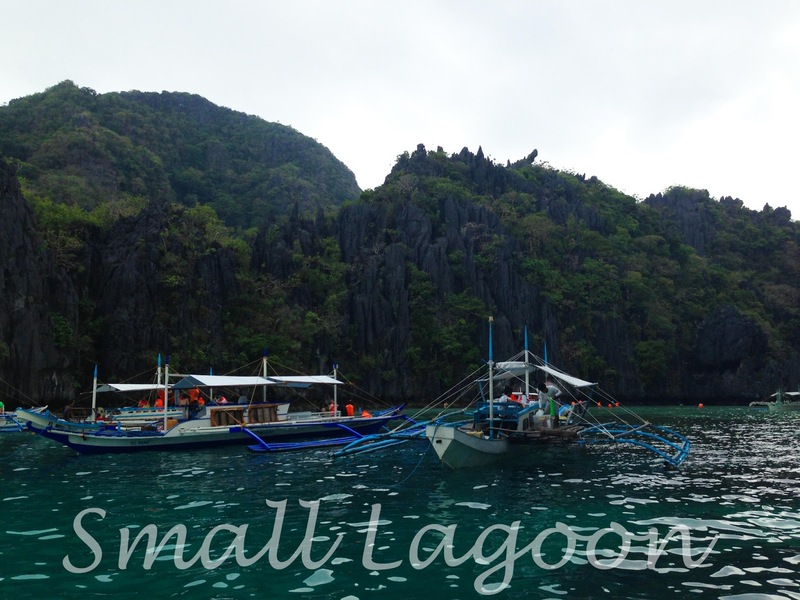 The island hopping started and we first visited the small lagoon. We were really delighted by its beauty. Good thing we rented a snorkeling gear so we enjoyed it a lot. A little scratches here and there but overall it was one of the best experience I’ve had. The second stop was at Shimizu Island where we had our lunch. The tour guides prepared grilled pork, fish and squid for us. We ate with gusto as we were kinda tired of the activity we had at the small lagoon. It was the time where we had a small talk with our tour mates. Lunch was over and we went straight to the Secret Lagoon. It was a small lagoon hidden somewhere in an island. It was small but the view was spectacular. 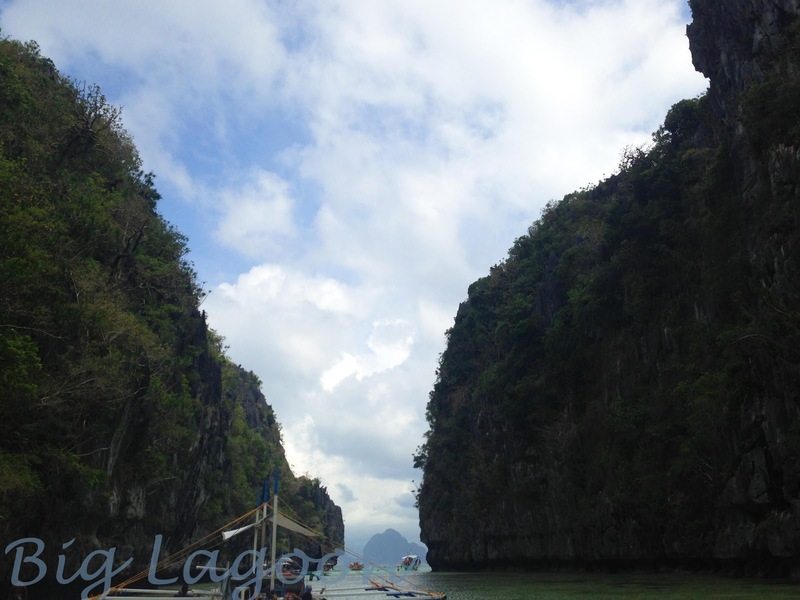 After, we visited the Big Lagoon. It was an amazing experience to see it’s magnificent beauty. 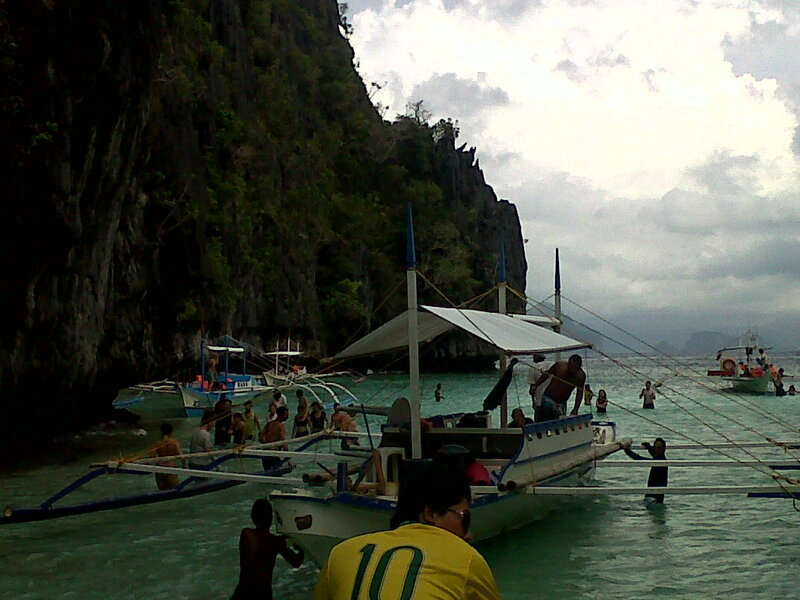 The main entrance to the lagoon was crowded with boats. Yes, there was a traffic. 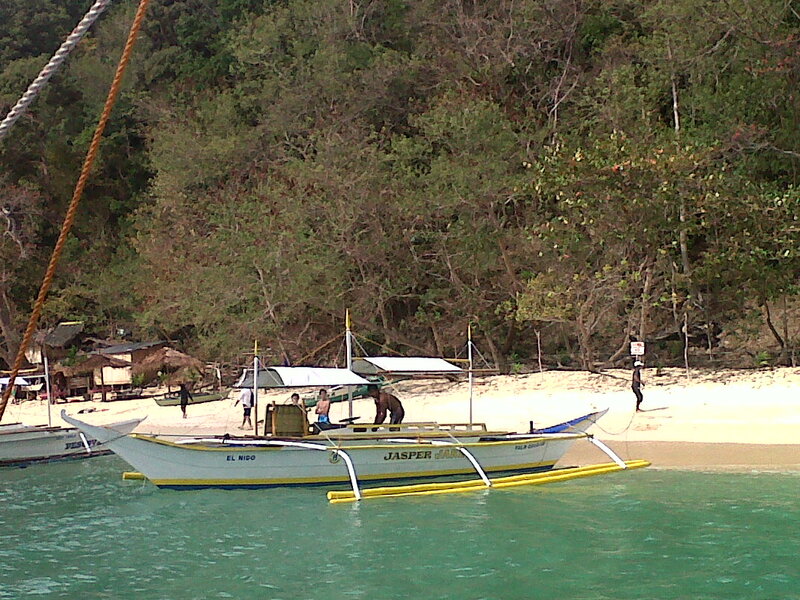 It was low tide so boats were not able to sail smoothly. Some of the folks had to get out of the boat and walk. 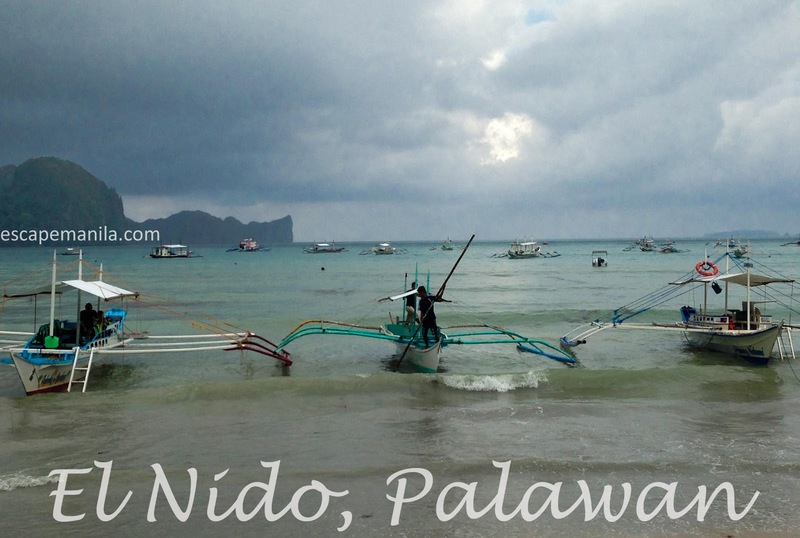 Traffic… It’s more fun in El Nido! Then we head straight to our final destination – the 7 Commando Beach. It was a long stretch of white sand. Not as powdery and white as in Boracay but it was clean. Coco and I enjoyed beach bumming.